Hello Fishing Gods. I am new to the amish boards. I used the CHURCH boards and would like to get away from those planer board rods and anything on my line. 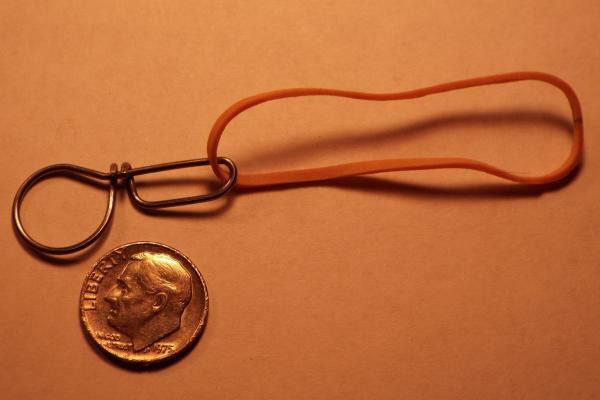 I am a fisherman on a tight budget and the Rubber Band clips are right up my alley. I am hoping you can tell me to GET them or DUMP them. I THANK YOU for your help ! Thank You So Much. I just did it and it took a try or two but I think I got it. Now I can eat Dinner one more night on my trip in spring. Thanks that Helps Me Alot ! Or get the shower curtain hoops and plastic clothes pins .drill a hole in clothes pin on finger end on one side put clip thru hole there is a release , half hitch a number 16 rubber band on the line when desired amount of line is out. Clip into clothes pin and send it down the board line.the rubber band will go thru eyes of rod when reeling in no problems. I buy clothes pins at dollar general the cheap ones work best . That Rubber Band stays nice on the reel. and do you use the same rubber band the next time you let your line out. Thanks for the tip thats pretty slick with the clothes pins. I'll use the same rubber band as long as it holds up . When it does go bad I just let line out till it gets to junk band ,pick it off and loop another on and fish on. 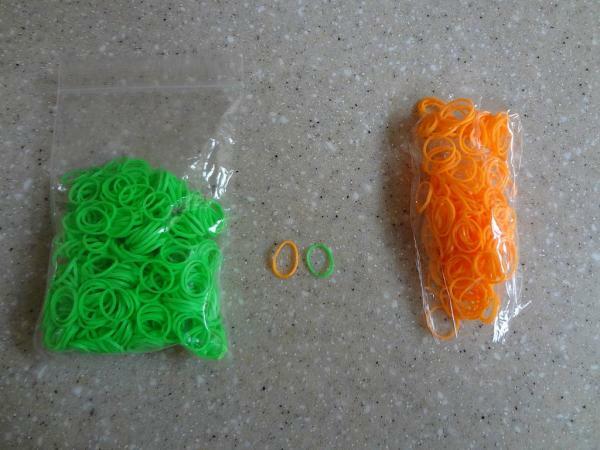 I use the real small rubber bands that girls use in their hair or that are used in "looms" and they are just the right breaking strength and come in various glow colors so you can see them easily. They do take a little getting used to with large hands in the cold though You can find them at Michael's, Joannes fabrics and for less money in the dollar stores in the hair care section. I used to use the #16 and #19's from Staples but these work better than the more full sized bands and are easier to see. 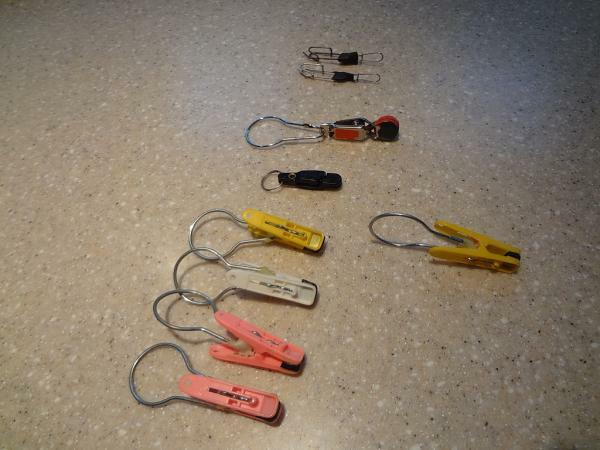 I use various ways to attach them from the already mentioned shower curtain rings/plastic clothes pin one to various home made devices for other setups. The nice thing about the small bands is that there isn't as much stretch to them so even smaller fish break them quite quickly. Thats The Ticket. Thanks SK8man thats the way I am going to fish it. maybe I'll see you out their. 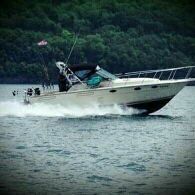 I launch out of little sodus look for a 16' boat with home made planer board mast and one guy. My all your trips be SAFE ones. The off shore clips are nice but pricey. I made my own using aligator clips and shrink tube. You could also try the clipper planer board releases. They are cheaper and a lot of guys use them. Sent from my thinking car! I use these clips. They're 125lb test stainless steel. I'll list them in classifieds if you're interested in buying some. When I used rubber bands, I attached w/ a paper clip. Worked great & cheap. Clippers are the way to go. 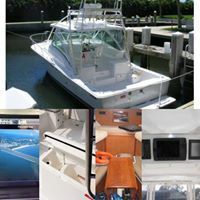 Adjustable tension, no rubber bands laying around boat to end up in bilge pump, and no shower curtain hooks spinning around planer board tow line after a wake or wave bounces the planer board around some. Hook up/landing ratio improves alot also. one recommendation on the clippers if you use them - leave them on your planner board tow line and melt/join the clipper "slot" together where it attaches to towline. Over the years I've used nearly every commercial release out there both in the intended ways and some rather unorthodox ways and I still use my home made ones most of the time because they work and they are cheap to make so I don't have to watch my language in mixed company when I lose one (e.g. Offshores at 8 or 10 bucks each). 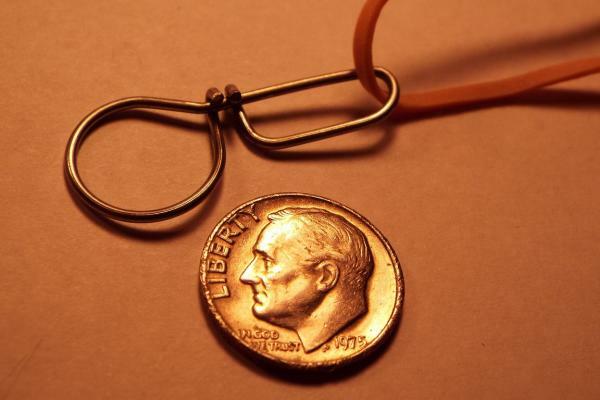 At one point I was using the alligator clips with shrink tubing but I did quite a lot of cold weather fishing and found that when your fingers were numb they were a little difficult to manipulate. I then switched to plastic clothes pins (camping sections of store) with rubber pads in the jaws (little pieces of inner tube glued with instant glue). You can use either with the line straight in them or with rubber bands and married them to shower curtain rings with hot glue. They also have enough weight to slide down the line on big board setups and will collect at the boards without problem when released and also work well on outriggers. The pic: at the top are two home made rubber band releases for downrigger cables (eg. for stacking rods or "fixed" sliders) made from trot line clips shrink tubing and a duolock snap, next is the Weldon Tackle release, then an Offshore (which can also be used with a shower curtain ring added to the little one on it), then some homemade ones as described above. I am now using rubber bands in a kind of double half hitch where the band is wrapped around the line a couple of times with both ends placed in the release. I like this because the band no longer stays wrapped around the line in a half hitch which gets wound into my reel. Instead the band either falls off or remains in my release to be picked off. I used to have a number of bands wound around my reel before this. This is not my idea, its something I found in another forum, but it works. I like your releases but the thing I would stay away from is the clip that has the other half of the clothes pin exposed for line to wrap behind. On Erie the rubber bands are pretty popular. Another option for attaching them to your tow line is to use the cheap caribeaners (like those people give away for a key chain). You can get bulk packs of these on ebay and they slide down your tow line nicely since they have some mass to them. I think Amish Outfitters has light and med rubber bands too. The red colored bands work best. I stopped using rubber bands on my boat for one reason.... Rubber bands are no good for bilge pumps. Used rubber bands and shower curtain hooks for years. Simple, effective, and cheap. I have the small wood clothes pins drilled out and attached to the shower curtain hook. Never had a problem with the line tangling in it. I have used these clips for over 10 years. They are cheap and effective. Depending on how deep you bury your line, they will handle anything up to 300 copper. Homemade and reliable. I probably have 4 dozen and never had a problem. Amish Clippers and bands also. Just ordered a dozen, look like they'll work great and can't beat the price! So all you do is half hitch 1 of these small hair bands onto your line and then loop a shower curtain ring through it? Essentially you will go through at least 1 per hit as they break, and you won't need any clothes pins as pictured in other releases? ?